DUI & PC 1000 - Rim Family Services, Inc.
Rim Family Services is a state licensed DUI and PC1000 facility. DUI and PC1000 classes are court or DMV ordered. Programs involve individual appointments, group process, and educational classes. Fees are set by the county and vary between programs. Classes are held weekly. DUI classes offered are: Wet Reckless (6 weeks), DUI First Offender (3, 4, 6, 9, or 12 months) and DUI Multiple Offender (18 months). PC1000 is a 20-week, court ordered, drug diversion program. Random drug testing is part of the program. Please call to enroll (909) 336-1800.
crashes in the U.S. were estimated at $51 billion annually. How does the DUI problem impact young people? The alcohol-related traffic fatality rate for youth is less than half of what it was in 1988. Youth still are over-represented in fatal crashes compared to the older population. In 2009, 1,314 children under age 14 were killed in traffic crashes. Of those, 181 (14%) occurred in alcohol impaired driving crashes. Blood Alcohol Concentration is a measure of the amount of alcohol in the blood stream expressed as a percentage. In 2009, all 50 states, the District of Columbia, and Puerto Rico had established an illegal BAC level of .08%. will not help to get sober. during the week were alcohol impaired,compared to 31% on weekends. For fatal crashes occurring from midnight to 3 a.m., 66% involved alcohol-impaired driving. injury rate. In 2009, 56% of the drivers involved in fatal crashes who had been drinking had a BAC of .15% or greater. 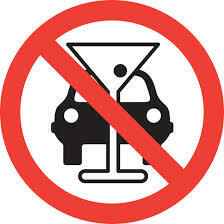 The alcohol-impaired driving fatality rate in the past 10 years has declined by 27% — from 0.49 in 2000 to 0.36 in 2009. *Information taken from California Department of Alchol & Drug Programs website.